Flashback. We got Permanent Residence for Canada, we did the initial landing and we returned to Ivory Coast. We even had a lovely baby boy. Two years on, when we decided to take up the Canada ticket, we realized that our baby was going to be refused entry into the country. This was November 2017. Every bit of research we did threw up bad news. One parent was going to have to go ahead to Canada and sponsor the baby (this cannot be done from outside the country). The process could take ten months. We could apply for a visitor visa for the child, but the chances were high that it would be rejected. In the absence of a visa, one parent was going to wait outside Canada with the baby. The parent who would go ahead to Canada would not be able to exit the borders until the entire sponsorship process went through (a mandatory rule). Since this parent would potentially not meet the child for ten months (half the lifetime of our little one), we decided it would not be me. My husband would drop his job and I would wait it out with the baby. But there was a problem in that too. I had about six months left to enter Canada, else I could be refused entry on the grounds that I was not meeting Permanent Residence requirements. We needed our son to get his documentation and get it quick. Else we would have lost all- our job, a year together and my Permanent Residence status. Phew! Even explaining it to friends and family was becoming difficult. Forget, living through the experience. But we were not going to let our dream die. We took a deep breath and took the plunge. We were going to take it by the day and see how things moved. We were going to have faith and courage. The next few months were ones of great anxiety. Much sleep was lost. Many hairs turned gray. My husband put in his resignation. 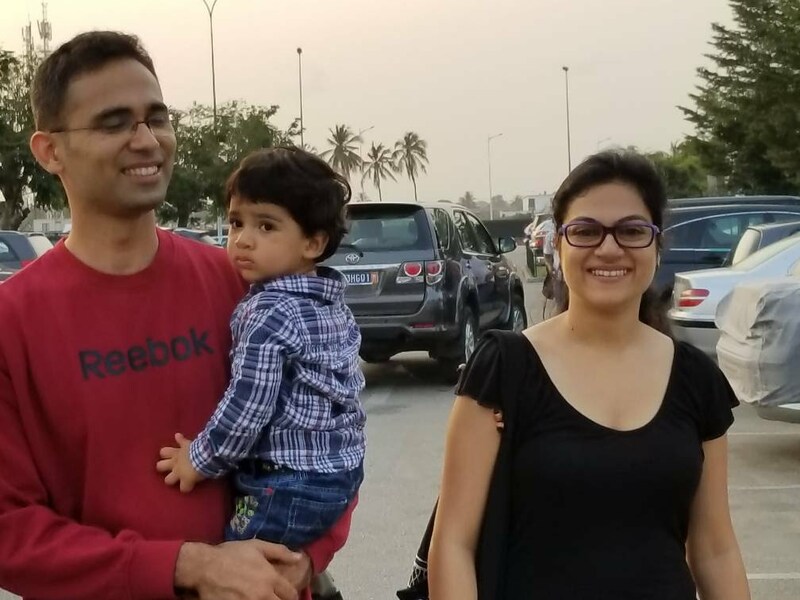 While the notice period was served, we applied for a visitor visa for our baby, with documents to prove that we had resigned from our job here, had booked one-way tickets to Canada and even arranged for accommodation in Canada. We paid an immigration consultant a hefty fee in the hope that he would present the case well. The application was rejected. So my husband flew out to Canada and started our son’s sponsorship process. Meanwhile, as per the embassy’s direction, we applied for a Temporary Resident Permit, which we understand is sometimes offered in such cases. Since the Canadian Embassy in Ivory Coast does not process visas, we had to send our son’s passport to the neighbouring country of Senegal. Weeks went by. I sent gentle reminders. My son and I were living all alone in Ivory Coast. We could not travel back to family in India since his passport had had to be submitted to the visa office. My husband braved the ruthless cold of a February in Canada all alone, trying to settle in and missing his son, his wife. Meanwhile, every single day a one and a half year old would ask for his father. “Papa is gone,” he would say and my heart would break. A month went by. I fell ill from the strain of the situation. My mother came down to visit us. I did not know what I would do in case of another rejection. And then, on my birthday, we received an envelope from the Embassy of Canada. My hands shook as I opened it. I did not know whether the passport had been returned blank or if it had a stamp. But God had been kind. My little boy had been granted a Temporary Residence Permit for 18 months. We packed our bags, booked our tickets, sent our luggage by cargo and said our goodbyes. Our Africa journey had finally come to an end. My baby boy and I were going ‘home’. A family torn apart was going to be reunited. We were finally going to start our Canada journey! Your writing skills are just awesome. Its very vividly described and I am sure that the reader lives the experience vicariously through the words!